Ships and Ship Models. Volume 4. No 44. April 1935. Ships and Ship Models. Volume 4. No 46. June 1935. 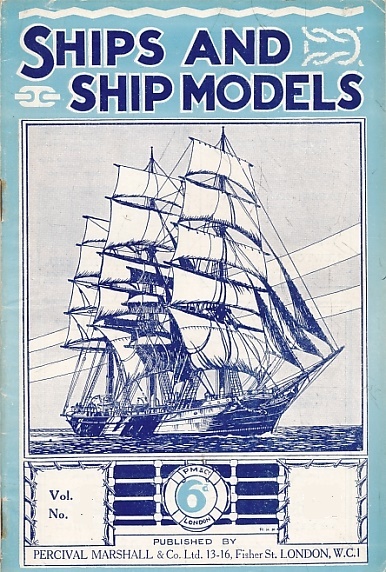 Ships and Ship Models. Volume 5. No 50. October 1935. Ships and Ship Models. Volume 5. No 51. November 1935. Ships and Ship Models. Volume 5. No 55. March 1936. Ships and Ship Models. Volume 5. No 57. May 1936. Ships and Ship Models. Volume 5. No 58. June 1936. Ships and Ship Models. Volume 5. No 59. July 1936. Ships and Ship Models. Volume 6. No 63. November 1936. Ships and Ship Models. Volume 6. No 66. February 1937. Ships and Ship Models. Volume 6. No 68. April 1937. Ships and Ship Models. Volume 6. No 69. May 1937. Ships and Ship Models. Volume 6. No 70. June 1937. Ships and Ship Models. Volume 6. No 71. July 1937. Ships and Ship Models. Volume 6. No 72. August 1937. Ships and Ship Models. Volume 7. No 73. September 1937. Ships and Ship Models. Volume 7. No 74. October 1937. Ships and Ship Models. Volume 7. No 75. November 1937. Ships and Ship Models. Volume 7. No 76. December 1937. Ships and Ship Models. Volume 7. No 77. January 1938.